Pyramid screen with three-dimensional design offers the benefits of adding a substantial screen area which the traditional flat type screens don't have. The result is that a screen allows an increased fluid handling capacity. 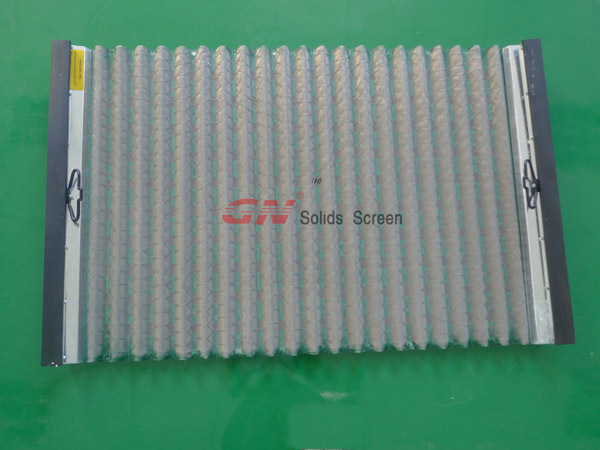 The screen mesh of the pyramid type is designed with wave shape. It is bonded with the metal lining closely with the installation mode of steel frame or hook strip wedge clamping device. Compared to the flat type mesh with same specification, the pyramid mesh has much larger effective area by 25% to 50%. Thus, the amount of drilling fluid that can be processed will increase largely. 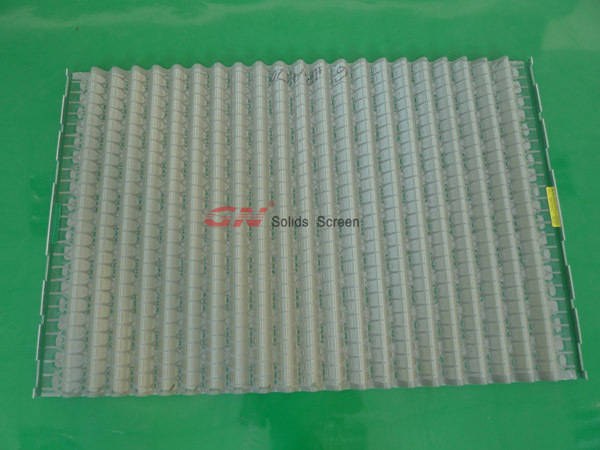 For the mesh numbers of the screen are different, rational and correct combination of screen meshes can get finer screening effect. In addition, we can produce the pyramid shale shaker screen with different specifications and dimensions to meet the demands of customers. Derrick, Derrick 500, Derrick 2000 are trademarks and/or registered trademarks of Derrick Corporation.